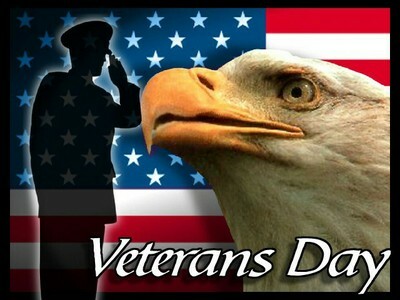 I imagine that through the years many of us have had occasion to see Veteran’s Day newscasts of holiday parades or ceremonies, while thinking we should have done more ourselves to honor those who serve in our nation’s military. Well let me tell you there was no shortage of recognition last Thursday night when the Cavalier Choir of The Woodlands College Park High School sponsored a memorable evening of “Military Salute.” The performance was part concert (musical directors, Ms. Erin Norvelle & Mr. Landon Gilmore, with accompanist, Ellen Klavan), and part talent show, and would be a splendid tribute to the nation’s past and present veterans. The lobby areas greeted visitors with wonderful wall displays of student posters recognizing family and friends who have served, or are serving, in America’s military. Tables displayed beautiful sheet cakes, each with the seal of one branch of the armed forces. (At intermission time the audience was treated to the tasty cakes, along with Starbucks coffee). Yet another lovely table was beautifully set for dining, and reserved in honor of the MIA’s and POW’s of our American military. First on the bill, the Cavalier Mixed Choir performed an absolutely elegant “Star-Spangled Banner,” followed by the sprightly spiritual, “I Hear America Singing.” Next, Gage Mullis, Tori Sumrall & Megan Townsend sang the poignant “Letters from War.” A quintet of Rachel Flores, Tate Gutzmerson, Brooke Woodgate, Betsy Jarvis & Arianna Bauersfeld sang a song familiar to fans of broadcaster Sean Hannity: “Independence Day.” Kelsey Kopankiewitz showed she could really strut her stuff as she sang “Walkin’ on Sunshine.” Cole Thompson gave a high-energy performance of “Only the Good Die Young.” Brett Heinrich, Peter McKinney & Josh Smith joined forces for a heartfelt, “Hallelujah.” Brittany Nolan brought an atmosphere of longing and calm to “Come Home Soon.” The Cavalier Women’s Choir provided a touching moment as senior class members placed roses in an onstage vase, (one flower for each active duty service member known to the students) as the names were read aloud. With exquisite sweetness the choir then honored those military absentees with “Song for the Unknown Hero,” and the audience was invited to join in for the “My Country ‘Tis of Thee” segment. It seems that sometimes we Americans really do “get it” with regard to the sacrifices of America’s military and their families. On such a poignant night as this, one could not escape reflecting first on what it means to live in a land so free, and finally on the immense debt of gratitude we owe to the nation’s defenders of liberty. May God bless them, every one! This entry was posted in Concert Reviews, Miscellaneous Reviews, The Courier Columns. Bookmark the permalink. If you enjoyed this, come see the College Park High Schoo Orchestra. On Thursday Nov 18, 2010 at 7PM in the College Park High School Auditorium, College Park High School Cavalier Symphony Orchestra will present a night of POP MUSIC!!! Music features include songs by Lady Gaga, Evanescence, Coldplay, One Republic, Katy Perry, Rolling Stones, and Queen just to name a few. Guest Singers include Michelle Buzz and Brett Heinrich along with guest band Hot Dog Handgrenade. Tickets are $5.00 each and can be purchased at the door or through the College Park Orchestra Department. For more information contact Dr. Peter Kempter at 936-709-3126. This concert is the first in a series of “Pop” concert fundraisers for the Cavalier Orchestra. Money raised by the group will be used to buy equipment, help cover travel expenses and help raise awareness of the “FINE ARTS” in a new way. We hope you will make every attempt to join us and help support our College Park Cavalier Orchestra!